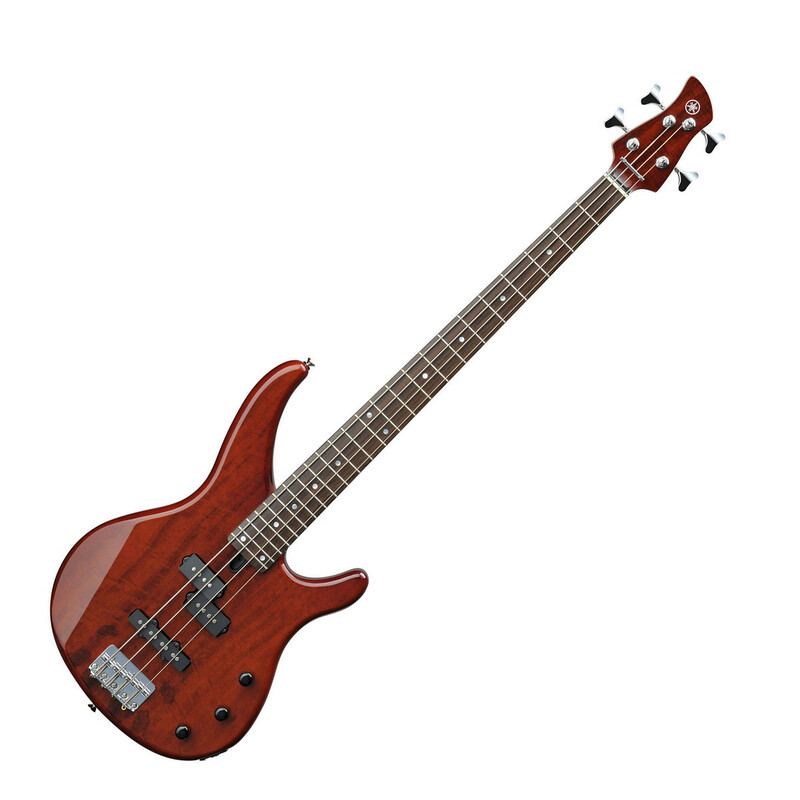 The Yamaha RBX174EW Electric Bass Guitar is a perfect all around bass for beginner or intermediate players, with a comfortable, easy to use design. Its split coil and single pickup arrangement give the instrument versatility to adapt to a wide range of musical applications. The Yamaha RBX174EW is constructed from quality materials including an exotic mango topped, solid mahogany body with sleek, wide cutaway contours allowing for easy access to the full length of the 24 fret neck. The bolt-on, fast action maple neck features a sonokeling fingerboard leading to a distinct body-matching head. The RBX174EW Bass includes a classic pickup layout of a middle split-coil providing solid deep fundamentals, and a single-coil at the bridge which gives a strong mids an highs. This high level of customisations allows you to combine these pickups however you like.